Affiliates - Earn 75% Commission! Welcome to my resource page for affiliates. 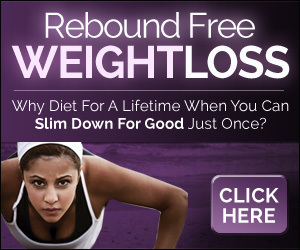 My product Rebound Free Weight Loss is one that you can feel confident promoting to a very large target audience of people interested in learning how best to break the cycle of failed yo-yo dieting attempts and finally achieve a successful weight loss strategy. This is achieved with the proper application of exercise and nutrition, which is well covered in the books that make up this package. Please use the resources on this page to help with your promotions and feel free to contact me with any questions you may have about promoting my book. When you promote Rebound Free Weight Loss as an affiliate you will be making a healthy 75 percent commission on every sale that you refer. The main product that you will be promoting is Rebound Free Weight Loss, but you will receive commissions for any other of my products that are promoted to the prospect as well. The book currently sells for $37. This means you get to keep approximately $24.92 of every sale (once my sales processor takes its small cut). If you are familiar with pay per click advertising, and know how to create adverts with appropriately chosen keywords, you can run profitable campaigns while you sleep! Or, if you prefer not to dabble with pay per click, you can simply promote my book on your blog, create a page on Squidoo or HubPages, or write an article and place it on EzineArticles or any other popular article directory. These are just some of the more obvious zero-cost promotional ideas. There are, of course, lots of other places that you can use to promote the book without spending a penny. Because ClickBank® manages the affiliate program for my ebook (see the next section) the customer actually pays ClickBank directly and they in turn pay you. That means your commission is credited to you the moment the sale is processed. You are never waiting on me to pay you. ClickBank pays you every two weeks, like clockwork. If there are any refunds to be handled (very infrequent with my book), ClickBank handles that too. It is a simple system and it works incredibly well for both affiliates and merchants. All you need to do is replace "nickname" in this URL with your actual ClickBank nickname. Note that this STANDARD affiliate URL takes visitors directly to the SALES PAGE for the product. You can also find other URLs on this page that work as hoplinks but which take the visitor to an opt-in page where they can obtain a free report that promotes the product. On the remainder of this page you will find material to help you with your promotions. Feel free to use the following promotional copy as blog posts or short articles. I recommend that you rewrite these a little, especially if you want them to be ranked by the search engines (which like unique content). But if you already have a readership you can elect to post these pretty much as is if you like. The FIRST article uses your hoplink to take the reader to one of the SQUEEZE PAGES that can be used to offer the visitor my free report entitled "Stop The Body Weight Bounce". Article 01 - The Curse Of The Rebound Pound I knew it. Not only is dieting a BAD way to get rid of those extra pounds of unwanted body fat - it's a REALLY bad way. That's because there is now a TON of evidence that suggests the act of dieting does more than strip off fat. It messes up your appetite-related hormones. That is to say, it lowers the levels of the hormones, like leptin and peptide YY, that suppress hunger. And it raise levels of those hormones, like ghrelin, that increase your appetite. Researchers in Australia convinced a gaggle of obese people to take one for the human race and submit to an eye-watering diet of no more than 550 calories for an eight week period. Me, I have lasted about two days on that diet. By the time the group was released from their restraints (yes, I'm just kidding) they had lost weight alright - about 30 pounds. But more interesting was the effect of the dieting on their brains. Members of the group reported being far more obsessed about food after the study than before it. For most people coming off a diet this effect causes them to eat MORE than enough to replace the weight they have lost, and then a little more to boot. Call it the "curse of the rebound pounds". More often than not, dieters end up heavier after dieting than when they started their weight loss attempt. You can blame the action of countless centuries of evolutionary fine tuning for this. We have evolved a biology that reacts to a perceived famine by dialing up our foraging response so as to compensate for calories lost and prepare us for a similar event in the near future. The end result is that anyone who practices yo-yo dieting is literally handicapping their future ability to lose weight. So what is one to do to put the fruitless dieting attempts to rest for good, but at the same time move towards a reduced body weight? Carolyn Hansen, a 30+ year veteran of the weight loss wars, has produced a special report that delves into the subject of yo-yo dieting. 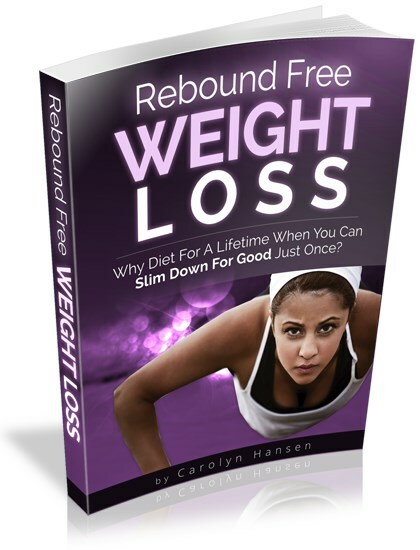 She calls it "Stop The Body Weight Bounce" and you can download a FREE copy of it here: Click here for your copy of "Stop The Body Weight Bounce" Carolyn says you can stop dieting and still lose weight simply by changing your approach to eating. In fact, she says part of the secret to losing weight is to eat more, not less. The trick, is knowing WHAT to eat. Although you will find the hoplink that takes the prospect to a squeeze page in these promotional articles and emails (because they promote the free report) you can always CHANGE the emphasis of the email if you want to, and promote the sales page instead. In that case you would use the standard hoplink. However you will probably find your conversion rate tends to be higher when sending prospects to one of the squeeze pages. This is because the prospect will see the sales page anyway (right after opting in) and they will be marketed to in the days ahead using the auto responder sequence designed to promote this product. You affiliate URL will appear on follow up emails that go out during this time. In all of the affiliate URLs appearing in the articles (and in the email swipes below), the tid variable represents the standard ClickBank tracking variable which is NEVER passed through to our landing page. So, if you want to have your tracking ID recorded as a "lifetime cookie" use the additional ttid variable that we can then append to hoplinks in promotional emails (as the tid variable) along with your Clickbank affiliate nickname. The SECOND article likewise sends people to a second version of a SQUEEZE PAGE that can be used to offer the visitor my free report entitled "Stop The Body Weight Bounce". Article 02 - Why you eat like a polar bear... One of the greatest survival adaptations in the evolutionary history of mammals may turn out to be our undoing. It explains why we humans find it so darned easy to get fat. Scientists tell us that our bodies contains around ten times more fat-storing cells in relation to body weight than most other animals. From a body-tissue point of view we are fat-rich. Like polar bears. But unlike the bears, which need to endure long periods of limited food availability, we have year-round supermarkets. According to researchers who study the effects of calorie restriction, after about eight weeks of dieting the body learns to get by on a lower calorie diet. It compensates by reducing fat burning and dials up the efficiency of its fat storing ability. So when you come OFF that diet and resume your normal eating habits you gain weight more rapidly than in the past. The effect is as though you had added another 400 or so calories to your plate each day. Researchers think the effect may last for up to several YEARS. Well, that's not good news, is it? It means that eventually your weight goes up to what it was before you hopped on the diet, and then it continues to go up until you feel compelled to repeat the process again. So what is the solution to this? How does a yo-yo dieter get themselves off the endless cycle of failed dieting attempts? Carolyn Hansen has addressed this very subject in her special report "Stop The Body Weight Bounce". The report is FREE and you can download your copy here: Click here to discover Rebound Free Weight Loss So, if you have ever found yourself eating like a bear, and frustrated at the needle on the bathroom scale that seems to inch ever higher with each dieting attempt, now you know what that's all about. And with a little luck, maybe Carolyn's report will be able to help you to put that behavior to an end. One of the benefits of promoting this product is that the subject matter is relevant to so many people. That means no matter what your list may be interested in specifically, they are likely to find this subject hard to ignore. That means you can broach the subject with them and use the Rebound Free Weight Loss squeeze page to get them to take action. From there, my automated follow up auto responder sequence will do the job of alerting them to the book and audio series for Rebound Free Weight Loss. Or you can send them straight to the sales page. However, the squeeze page approach is likely to afford you the best results. Here is the cover of the book, reproduced in a few different sizes for you to grab and insert into your promotions. If you need banners to advertise on your site or the sites of others feel free to use any of these. Simply right-click on the image and download to your PC before uploading to your site. Before you start promoting my product, I only have one request: Please don't "spam" people. And I am not just talking about the illegal kind (see the clarification on spamming below). I am also talking about the overall approach taken to promoting my products. Please make sure that you are not being "hypey", or unrealistic when you contact your subscribers or client-base, publish ads/articles or otherwise drive targeted traffic. Your target audience should be anyone interested in learning how best to eliminate weight loss resistance so as to be able to maintain a healthy body weight. This will be achieved through the proper application of exercise and nutrition. OK, good luck with your promotions. You are prohibited from promoting this product by spamming - including, but not limited to, unsolicited commercial email broadcasts, forum/newsgroup crossposting, blog-spamming, solicitation on classifieds sites, social network spamming and otherwise contacting anyone without their prior permission. Please visit FTC.org to learn more about ethical marketing practices, guidelines and laws.